No matter your style—floral, graphic, impressionist, funky, whimsical—we carry artistic home décor to suit your individual taste. Refine the look of your kitchen, bedroom, or office by adding distinctive pieces of framed and unframed artwork to every nook and cranny of your home. Read your child to sleep underneath the peaceful glow of illuminated art. Rest your feet on a stunningly crafted ottoman. 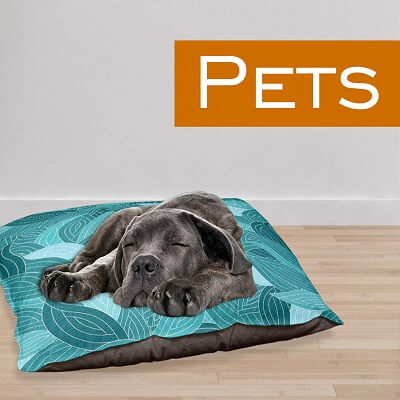 Cuddle up underneath the warmth of a beautiful fleece blanket. 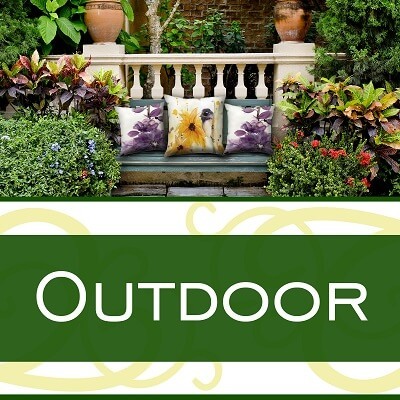 Nap peacefully on a personalized throw pillow. 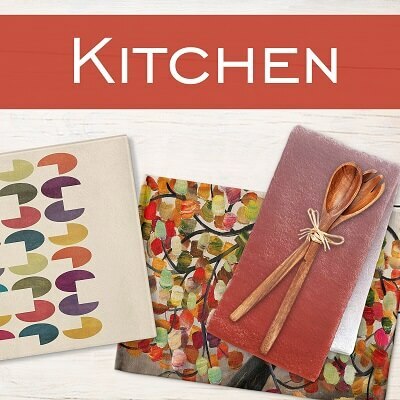 Share family meals surrounded by the inspiring work of talented artists. 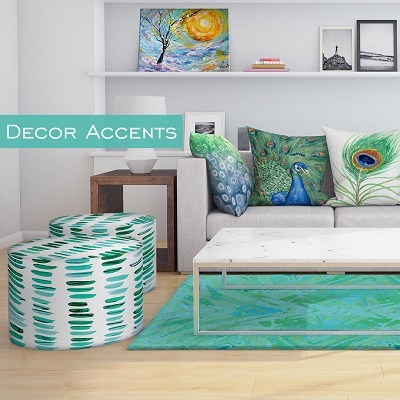 Support the artistic community with a personalized piece of décor from DiaNoche Designs. We take pride in our artists’ work. 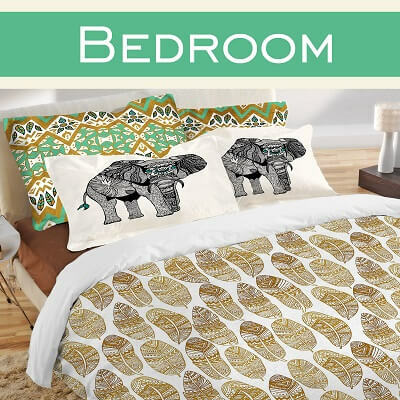 From the gorgeous realism of a Carlos Casamayor duvet cover to the floral beauty of a Julia Di Sano blanket, each item is remarkable. We work with more than 70 artists from all over the world to create one-of-a-kind pieces that will adorn your living space. Every time you purchase a DiaNoche product, you encourage artists around the globe to pursue their dreams. Transfigure your home with artistic décor. 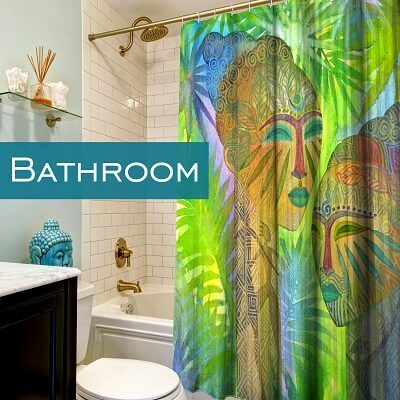 Every curtain, blanket, rug, and canvas offered by DiaNoche Designs is a unique piece of art designed to transform the look and feel of your living space. 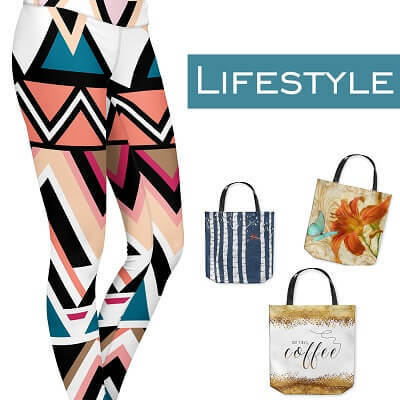 With more than 2,800 images from which to choose, you’re sure to find a piece that fits the style of your home. 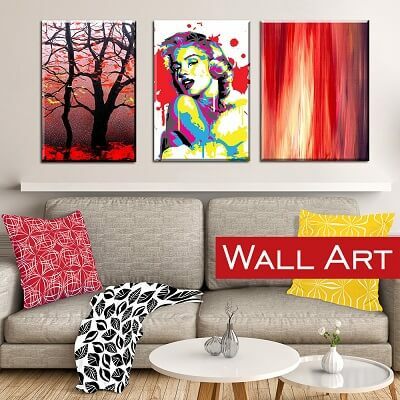 In addition to wall art, we offer functional artistic décor for the bedroom, bathroom, kitchen, living room, patio, and more. Get your décor made to order. At DiaNoche Designs, we don’t believe in mass-producing art. Our artists are unique. So are our customers. That’s why your order is made expressly for you. We begin crafting your piece of artistic décor as soon as you order—not a moment before. Our throws, pillows, covers, and curtains are made to last. In order to ensure durability, we employ a special dye sublimation printing process that transfers the image you select onto the fabric you’ll take home with you. Join the DiaNoche family. 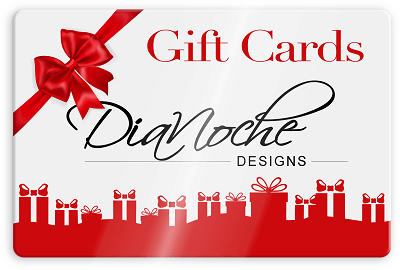 DiaNoche Designs is a family-owned business, and we treat our customers as part of our extended family. If you have any questions or concerns, don’t hesitate to contact us. Support a worthy cause while decorating your home. No one lives and works in isolation. At DiaNoche Designs, we’re delighted to be part of a vibrant and caring community. That’s why we donate a portion of each and every sale to charity. Inspire your days and illuminate your nights with DiaNoche Designs’ signature product: Art Today, Light Tonight Illuminated Art. During the sunlight hours, these exclusive pieces of art serve as charming decorations and great conversation pieces. During the long hours between sunset and sunrise, they double as lights. Whether you use your illuminated canvas as a nightlight, a reading light, or a mood light, its warm glow will provide comfort throughout the night.